Once Auctioned, What to Do with Syrian Refugees? MADRID, Jan 12 2016 (IPS) - Few months ago, an unprecedented “humanitarian auction” was opened in Brussels at the European Commission, shortly after watching the image of the three-year old Syrian child that the sea threw up on the Turkish shores. The “auction” was about deciding upon the number of Syrian refugees to be hosted by each EU country. Germany won the largest batch. Before taking a final decision, some less rich European countries, like Spain, rushed to argue: “We are trying to get out of the crisis; we have a much too high percentage of unemployed people; also a huge public deficit…,” Spanish authorities, for instance, would try to explain their reluctance, with a more diplomatic wording. The EU decision was also subject to a wave of political controversies. Some conservative political leaders, like Hungarian Prime Minister Viktor Orban, would strongly alert against this “tsunami” of Muslims threatening to attack “our Christian civilisation”. And some figures, like US multimillionaire Republican pre-electoral runner Donald Trump, would even call for prohibiting the entry to the US of all Muslims. Meanwhile, labour market experts would argue that the so-called “natural selection” process would solve the problem –i.e, that the market forces would hire those skilled refugees as non-expensive manpower, while the non-skilled ones would necessarily end up as undocumented, illegal migrants, therefore easy to repatriate. But such an argument has never been enough to calm the panic that several politicians and many media outlets induced among European ordinary people. Another factor these experts take into account is the fact that the European population is steadily ageing, without the needed demographic replacement, a problem that is translated in more pension takers and less tax payers to replenish the retirement budget. All this, of course, comes aside of Europe’s humanitarian convictions, those that moved the EU to act in view of the massive arrival of refugees. It was when the EU, led by Germany, decided to offer economic assistance to less rich “reception” countries (6,000 euro per refugee) that the most reluctant ones accepted the deal. This way, Spain, which agreed to host 14,000-16,000 refugees, hailed some weeks ago the arrival of the first 14! Meanwhile, the mainstream media disseminated tens of dramatic footage and tragic stories about those kilometres-long barbed-wire barriers built by some East European states; the “Calais jungle” in France; the hundreds of refugees stranded at frontiers; the arrival of cold winter, or the daily death of tens of human beings on Greek shores. Then came the brutal, inhuman, execrable killing of French civilians on 13 November 2015 by Jihadist Islamist terrorists; the immediately previous attacks against unarmed population in Lebanon, and the even previous ones in Tunisia, and, later on, the horrible New Year’s eve assaults in Cologne, Germany, not to mention the daily murdering of innocent people in Egypt, Iraq and Syria, among others. This created serious problems at home for several European rulers, like German Chancellor Angela Merkel, apart from feeding more fears among European citizens. All of a sudden, a “solution” was found: the EU asked Turkey to keep the Syrian refugees in its territory or at its borders, preventing them from passing to Europe, against the payment of 3,000 million euro and the promise to unfreeze the deadlocked process of negotiations with Ankara for its potential integration in the European club. The number of Syrian refugees “auctioned” in Europe would represent barely one fifth of their total. The number of Syrian refugees to be effectively allowed to stay in Europe is expected to come down to less than 15 per cent of those 4.5 million plus. The largest portion of humanitarian aid and assistance comes either from a short-funded UN agencies or civil society organisations. UNICEF’s humanitarian work began in the aftermath of World War II — and by the mid 1950’s millions of European children were receiving aid. Seventy years later, refugees and migrants are entering Europe at levels not seen since World War II. Nearly 1 in 4 are children. 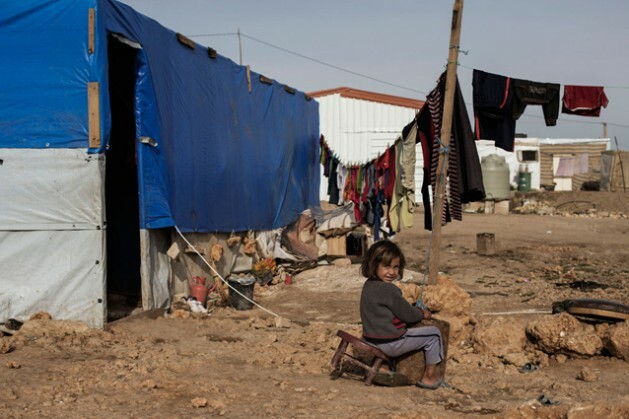 What to do now with the total of 4,5 million Syrian refugees? The five biggest military powers on Earth (US, UK, France, Russia and China), on 18 December 2015 adopted United Nations Security Council’s Resolution 2254 (2015) endorsing a “road map” for peace process in Syria, and even setting a timetable for UN-facilitated talks between the Bashar al Assad regime and “opposition” groups. The whole thing moved so rapidly that the United Nations Special Envoy for Syria, Staffan de Mistura, has already set the 25 January 2016 as the target date to begin talks between the parties. The “road map” talks about many things, including the organisation of “free and fair” elections in 18-months time. No explicit mention, however, to the fate of the 13 millions of refugees and displaced at home Syrians who do not know what to do or where to go.